Rolling Stone review of Demons and Wizards album. Author — Metal Mike Saunders, Rolling Stone, 23 November 1972. IT’S A STRANGE TIME. Formerly exciting rock groups have gone musically soft, if not well on the road to outright senility, making the moniker of hard rock almost a contradiction in terms when applied to old survivors form the Sixties. 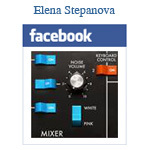 But this is 1972, not 1960 – something. 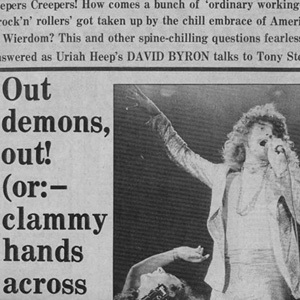 Most of the excitement around these days is still happening in the hard rock field, and nothing in recent months proves this fact more conclusively than Uriah Heep’s new album, Demons and Wizards. To be honest, for a while I didn’t think these guys were going to make it. 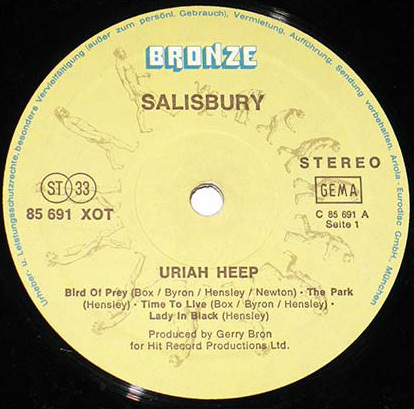 Uriah Heep started out as awful as any group crawling out of the Cream/Jeff Beck age of British blues excess: a bit of de blooze, a few Cream cops, some poorly-conceived heavy riffs — a familiar musical formula employed by not a few groups. 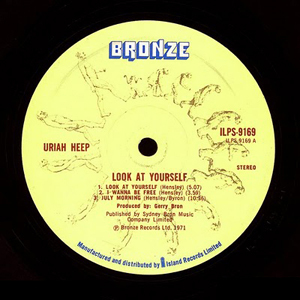 Starting with their third album, Look At Yourself (generally monotonous but with several genuinely exciting tracks) and particularly this new album, Uriah Heep have finally gotten into their own distinctive style. 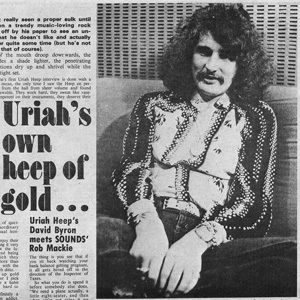 Just what Uriah Heep’s style consists of, it’s hard to say. 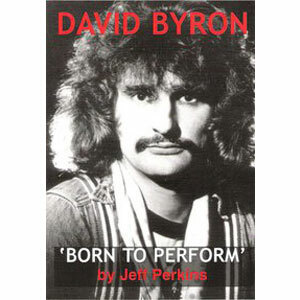 The vocals are psychedelic and quavering, the guitar and rhythm section is English heavy metal rock, and Ken Hensley’s organ is employed in a fashion faintly similar to Deep Purple. But then in places they sound a bit like early Procol Harum, and you forget about categories altogether. These guys are good. The first side of Demons and Wizards is simply odds-on the finest high energy workout of the year so far, tying nose and nose with the Blue Oyster Cult. Not an ordinary song in the lot: ‘Easy Livin’’ is a flat out fuzz-tone punk rocker, ‘The Wizard’ is almost a combination of psychedelia (the lyrics and phased vocals) and folk rock, and the remaining three cuts on the side are generally similar in that they combine hard rock with good melodic hooks. ‘Traveler in Time’ particularly shines in this respect. All in all, it’s an entrancing side of rock & roll. The tightness of the music is stunning times; what few instrumental breaks there are, are concise and to the point. When I saw the group live at the Whiskey recently, these cuts were truly exciting and easily the highlight of their stage repertoire. Side two is less outstanding, but still OK. The first two cuts are generally satisfying medium-tempo hard rock, and ‘Paradise/The Spell’ is a long track composed of two six-minute segments. 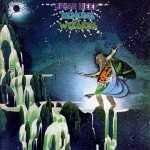 Though its high moments are scattered, it’s totally listenable (no mean feat for twelve minutes) and shows off organist-songwriter-leader Ken Hensley’s (the only star in Uriah Heep, but like a friend said, it’s hard to be a star sitting down) various conceptual ambitions. Come to think of it, even the cover of this album is niftily psychedelic. When I was a kid I used to read a lot about party records, with particular Stones albums always seeming to be mentioned as great party albums. Well, the party’s still going and by virtue of its solid 40 minutes of energy and clatter – you might call it brilliantly realized monotony in places – Demons and Wizards has got to be the party album of the year so far. They may have started out as a thoroughly dispensable neo-Cream & Blooze outfit, but at this point Uriah Heep are shaping up into one hell of a first-rate modern rock band.